 More than a decade ago I titled a blog, “the challenge of balance”. I thought, at that time, that it was just a phase that made life so difficult to find equilibrium between work, family, recreation, and personal time. I had this utopian view that at some point, that life would automatically find the correct amount of each element leading to this idealic life. As time marches relentlessly forward, time and time again the pendulum of balance has continued to swing, at times wildly, from one are of my life to another. There are times when nearly 100 percent of my time is dedicated to work, or previously school. Other times, it was all running, or at times all family. Rarely there was some more equitable distribution of time and effort, but that seemed to be fleeting. A few days ago I was sitting on wooden bleachers waiting for my daughters to finish up gymnastics class. As I watched them working through routines on the balance beam I observed interesting behavior. Rarely were any of the gymnasts truly balanced. They wobbled this way it that, they moved forward and backward, side to side, as they sought to find perfect balance. A thought came to me that this related perfectly our attempts at a balanced life. Demands at work, or at home, challenges in personal development or in relationships, all of these things tip us one way or another constantly challenging our quest for balance. It may be impossible to land perfectly on life’s balance beam and not wobble one side to the other. The beauty of life is the process, however unbalanced it may be.